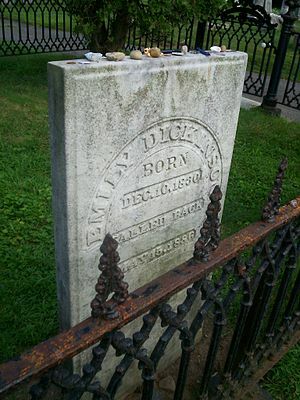 Emily Elizabeth Dickinson was born on this day in Amherst, Massachusetts in 1830. Today is the 182 anniversary of her birth. Emily was the second of three of three children born to Edward and Emily Norcross Dickinson. Her brother William Austin Dickinson was born a year before her, her litter sister Lavinia (“Vinnie”) three years after. Her father was a lawyer who served in the Massachusetts State legislature and Senate and the US House of Representatives. Emily was a proper Victorian girl and was well-educated in English, History, Science (especially Botany), the Classics, Literature, and Math at Amherst Academy. At 16 she entered Mount Holyoke Female Seminary. She found her time at the Seminary less agreeable and less challenging and she only stayed a year. In February, 1852 the Springfield Daily Republican published “Sic transit gloria mundi,” Dickinson’s first published work. Only 20 of her 1700 poems were published in her lifetime. She collected her writing in notebooks and shared her poems with her family and close friends, especially her sister-in-law Susan Gilbert Dickinson. 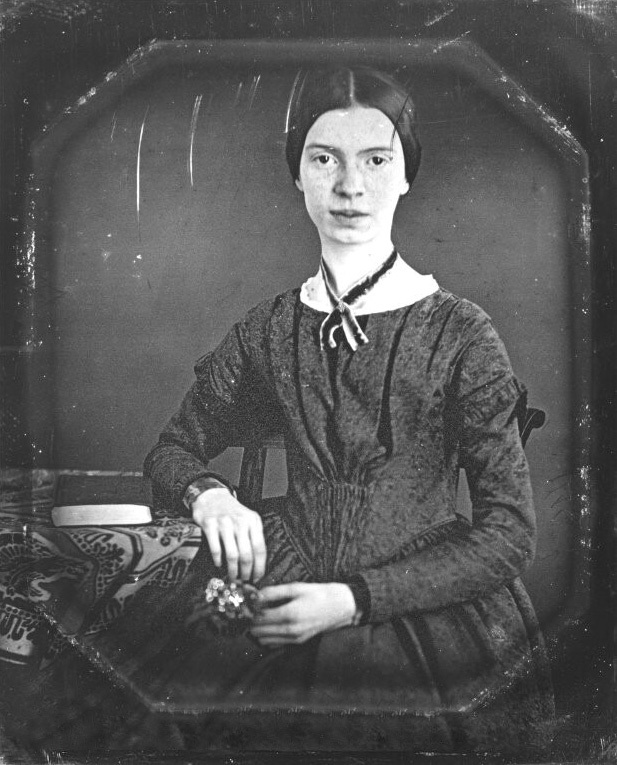 This entry was posted on Tuesday, December 11th, 2012 at 2:20 am	and posted in American History, Emily Dickinson, Thought of the Day, Today's Birthday, Victorian, Writing. You can follow any responses to this entry through the RSS 2.0 feed.